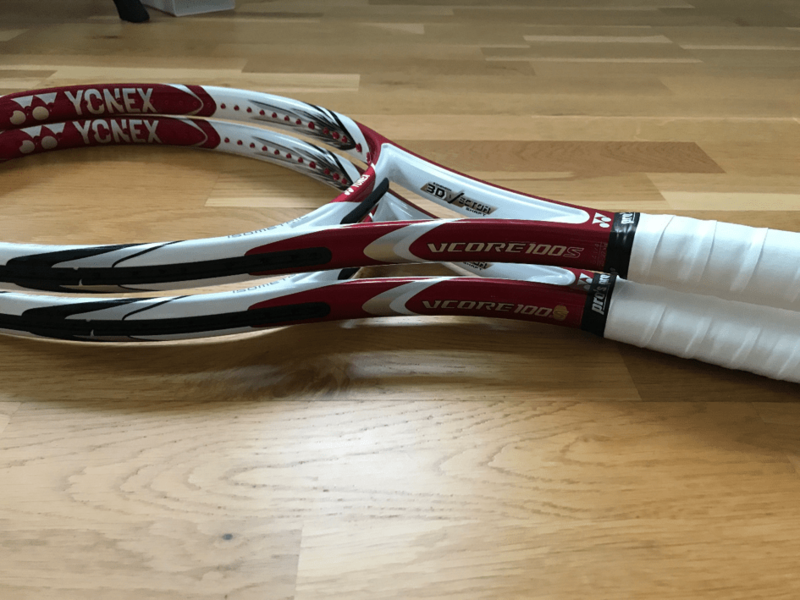 We will cover some more ATP players racquets and first off is the Yonex VCORE 100S Racquet Review by guest writer Christian Andersson. 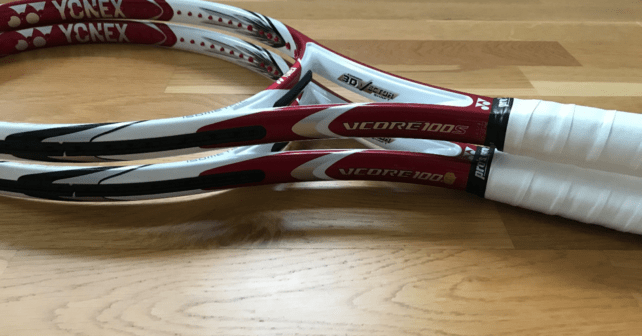 The VCORE 100S is Angelique Kerber’s racquet of choice as we have written about on Tennisnerd earlier. Have you ever thought about trying any of the WTA players racquets? I managed to pick up a nice pair of lightly used Yonex Vcore 100s frames. This model was released back in 2011 and is said to still be used by Angelique Kerber and Caroline Wozniacki under different paint jobs. See earlier post from @tennisnerd here. Since I’m a fan of Yonex and previously have played their AI 100, DR 98 and Duel G 97 310 quite a bit, I was excited to see what this racquet would play like for this Yonex VCORE 100S racquet review. IPS – Integrated Power weight System, extra weight at 3 and 9 for stability. X-Fullerene – Carbon fibers used in a cross-link construction for added stability and power. Oval Pressed Shaft – For longer “dwell time” and spin. Super Cushion Grip – Cushioned underside layer that reduces vibration and softens up the feel at impact. 3D Vector shaft – To reduce twisting of the frame and increase the power. To my surprise, the two frames of mine hade a weight of 305g and 297g unstrung. This is unusual since all other Yonex frames I have had weighted have been within +-2 gram. This is one reason why I do like Yonex, since their quality control is very spot on compared to many other brands. Those two frames also had a few millimeters difference in their balance so the swing weights of them were far from each other. One in each direction, with the lighter one closest to the original specs. The lighter one I measured to 307sw and the other heavier one to 324sw using the manual method together with the iPhone app called Swingtool. I can highly recommend it when doing your own swing weight measurements. From this result, I did expect them to hit quite different from each other already from the beginning. Looking at the specs they are quite common for a 100sq inch racquet and close to some older Pure Drives but with a slightly thinner beam and a few points lower flex. It is also quite close to the frame I play with myself nowadays, a modified Pure Strike Team (2017 model). 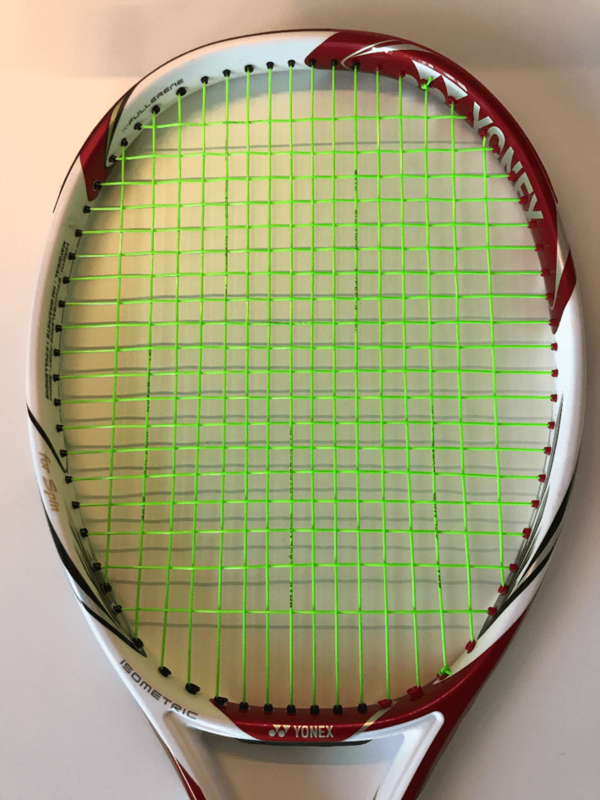 Yonex VCORE 100S Racquet Review – How does it play? 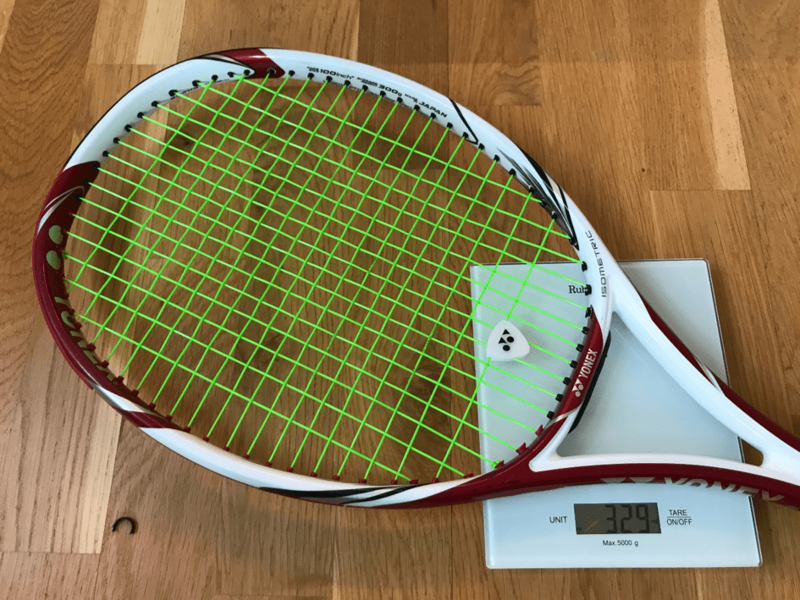 I strung the heavier frame with my go-to-string Solinco Hyper G (click to read the Tennisnerd review) at 50lbs and the lighter one with MSV Focus Hex 1.18 (link to buy at Amazon) also at 50lbs. The first thing noticed when playing was that this racquet does offer a firm and a very nice crisp and direct response. I did not experience any major discomfort though. The feel was clearly more crisp and stiffer than my modified Pure Strike Teams (link to Amazon), which softened up a whole lot after adding a leather grip and about 8 grams to the hoop. Comparing the two frames to each other given their totally different swing weights, the heavier one offered noticeably more plow-through and better stability. The lighter one felt way too light on contact for my liking. This racquet does move very quickly through the air. Even with the heavier one with similar swing weight as I am used to, I found myself hitting the ball a bit too early. Hitting the sweet spot felt really nice, and you could really tell when you hit perfect, but outside of it I did find instability which caused the racquet to twist slightly in the hands. This issue was still noticeable even on the heavier frame of the two. I would not call the sweet spot small, but not huge either. Compared to a previous Yonex frame of mine, the Yonex AI 100 I would say it is smaller and less forgiving. I did try to add 2+2 grams of lead at 3 and 9 to the heavier frame and it did help a bit, but not really to the level where it felt very stable. The power level is quite high and I found myself to overhit sometimes. I had to be sure to put enough spin on my strokes to keep them inside the lines. The 16×19 string pattern on this frame is exactly where I like it. Not too open like I find on quite many 16×19 frames these days that eat strings very fast. Serving with this frame was something I did enjoy a lot. I found very good and easy power, and it was effortless to get the racquets head moving fast. For some reason, I always seem to serve better with Yonex racquets. Maneuverability was nice t the net and volleys had decent punch, but the instability could be felt at times, and I did miss some feel hitting volleys. Like most of the time the technologies advertised for a racquet was not that easy to find. At least not the ones that should provide added stability. Spin was easy to generate but it did not stand out as something exceptional to me in comparison to other similar 100sq options. The launch angle was on average to the higher side, and I found net clearance easily. This racquet is for those who like a crisp response similar to a Babolat Pure Drive (click for the Tennisnerd review) and that offers high power, good maneuverability, but with less of “touch and feel”. Comfort is better than with a Pure Drive though. It also gives you a very good platform for customization. At least as long as it does not come with a high-end spec like the heavier ones of mines. I don’t know the exact specs of Kerber and Wozniacki but I am certain about that they must be quite heavily modified. It is a nice frame to hold and swing that won’t make you tired. It has a really nice crisp response to it, so I can understand they kept using it together with the right customization for their game. For me, it was a fun hit but somewhat tricky to find the best setup for my liking during the playtest. But I will keep them in my bag for a while and try out a few other options on strings, tensions, and setups. Have you played this racquet yourself? Feel free to share your preferred setup. 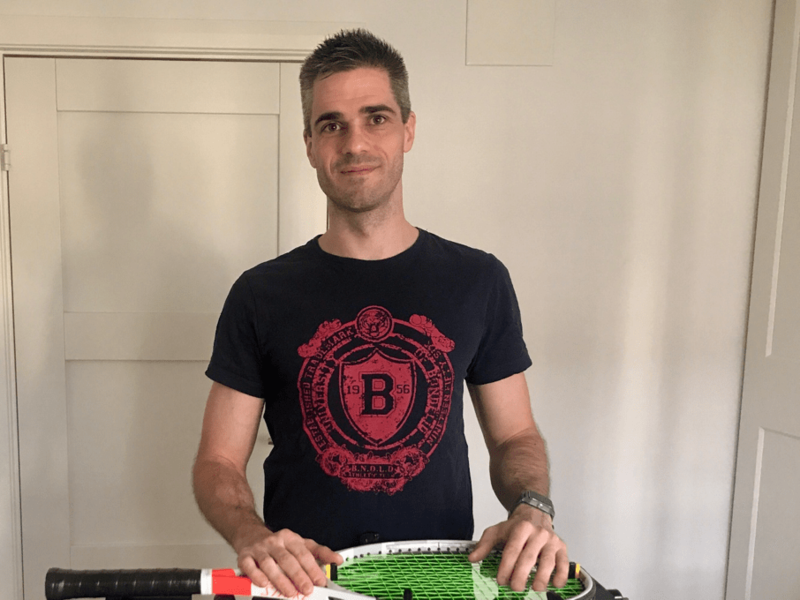 Big thanks to Christian for this excellent Yonex VCORE 100S Racquet review. Would you like to write a review or article for Tennisnerd? Message me on social media or e-mail Tennisnerdnet@gmail.com. Keep in mind that we are not in a position to pay you in anything more than a set of strings or a Tennisnerd t-shirt yet, but really appreciate each contribution. Do you like Tennisnerd? Please also follow and share our other channels. Every like, share and follow is deeply appreciated!